I can’t remember exactly when, but a few years back it struck me just how many plastic, zipper-top baggies I was going through each week as I packed my kids’ lunches. I did the math and figured out I was spending a not-so-trivial amount of money on something that was used just once then thrown away. A friend recommended that I wash and re-use the baggies, but honestly, I just wasn’t up for washing and drying at least 9-10 baggies everyday. I stumbled across a re-usable food storage bag and was intrigued. I ordered a few, but was unimpressed. The next school year I ran across another brand and gave it a try……success! 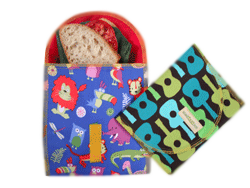 We currently use a combination of re-usable fabric bags and plastic, BPA-free containers. While I used to purchase boxes of various-sized baggies every month or so, I now purchase them maybe every 4-6 months…..so much better for my wallet and the environment! These are my favorites! The medium/sandwich size is great for sandwiches and larger portions of chips, raw veggies, or other sides. I use the small/snack size for the daily snack I have to pack for my kids, or for smaller serving of nuts/dried fruit. 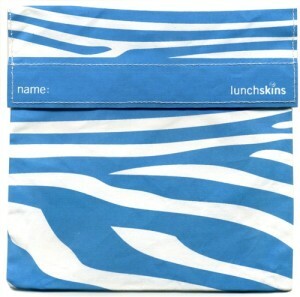 The zippers help contain any crumbs, are quiet when the kids open them in class (during approved snack times, of course!) and they wash well. Once a week (or more often if needed) I toss them in the laundry and they’ve held up really well. We’re going on three FIVE years now for most of them. My only complaint is that the fabric choices are not nearly as cute as some other companies. ***UPDATE: Repac is going out of business and is selling off their inventory at super-cheap prices. I use the medium bag for sandwiches, and the small bags for other lunch items and snacks. Hurry and order up before they’re gone! I have the sandwich size of this brand, which I use for…..sandwiches. Pros: really cute fabrics. Cons: does not seal completely closed so crumbs escape easily. Also, they take longer to dry than my other bags. This is the brand I first bought years ago and was not impressed. 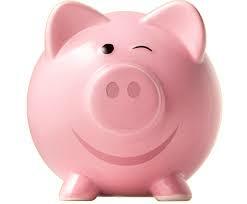 However, I hear they have changed a few things and they are much improved. They clearly have a great choice of fun fabrics. In addition to being available online, I’ve also seen some at Target. I’m not a fan of the velcro, but they’re still worth checking out. 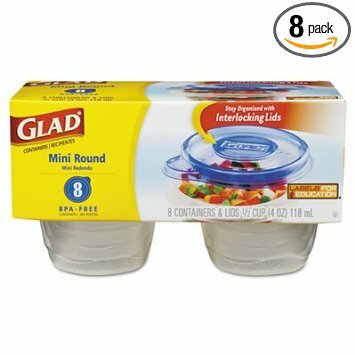 I use these containers for “juicy” items (fruit, applesauce, etc) or for things I don’t want to get smashed in the kids’ lunchboxes (like muffins). The re-usable bags are somewhat moisture-proof, but I prefer these containers so there’s no chance of spilling or staining. A new fave are these Lunch Blox by Rubbermaid, available online, at Target, Wal-Mart, etc. I’ve even seen them at office supply stores near the school supplies. 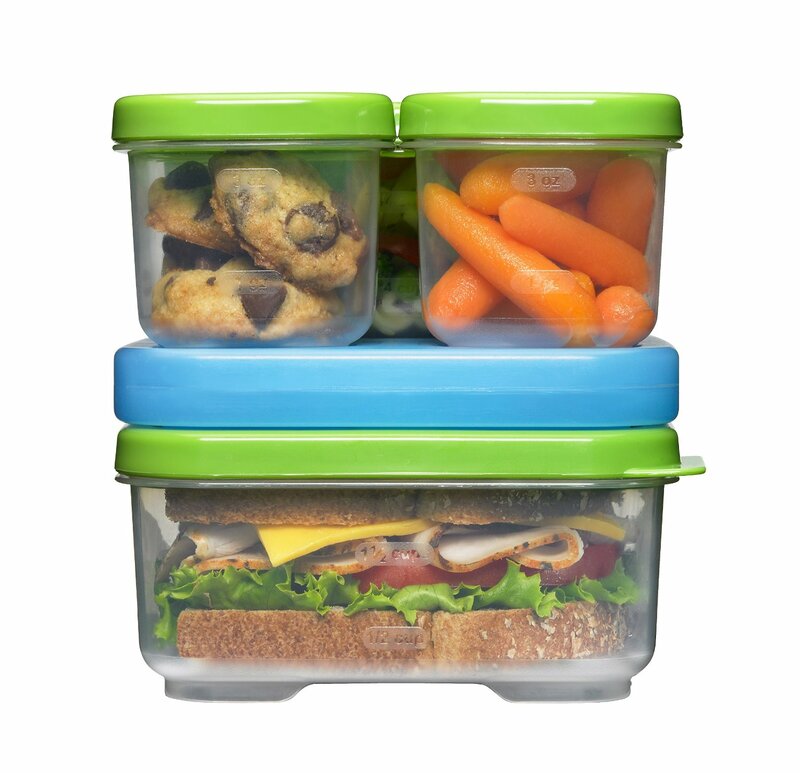 They have a variety of sizes, lids stay on, and my kids can open and close them easily. I also have several Thermos brand insulated containers for soup, chili or other items meant to stay hot. If utensils are needed I have an inexpensive set of silverware that I pack….they usually make the return trip, but if a fork goes wayward I don’t mind so much. And knock on wood, I have yet to lose a bag…..the kids have done a great job at returning them each day.